There don’t seem to be a lot of butterflies on the wing here at the moment, but one that I have seen around (and had never seen before moving here) is the White Admiral. This one was flightly and unwilling to pose, so this was the best photo I could manage, but you get the idea. We didn’t have them in Ohio, it’s too far south, but what we did have were Red-spotted Purples. The name comes from the red spots on the underside of the wings, not visible here. But why did I dig this old photo of a butterfly from another part of the country out of my archives? Because they’re actually two branches of the same species, Limenitis arthemis. 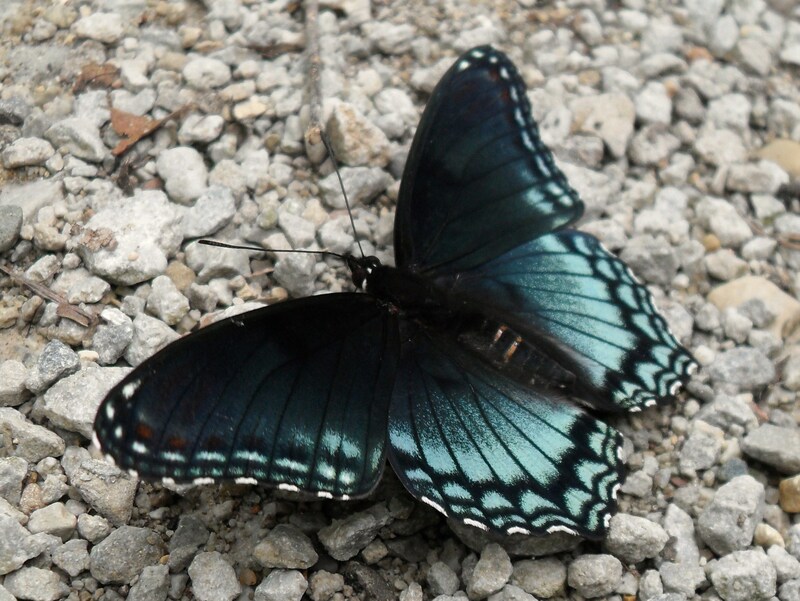 Where its range overlaps with that of the poisonous Pipevine Swallowtail, L. arthemis mimics it with the iridescent blue patches on its wings, much like tasty Viceroys mimic unpalatable Monarchs. 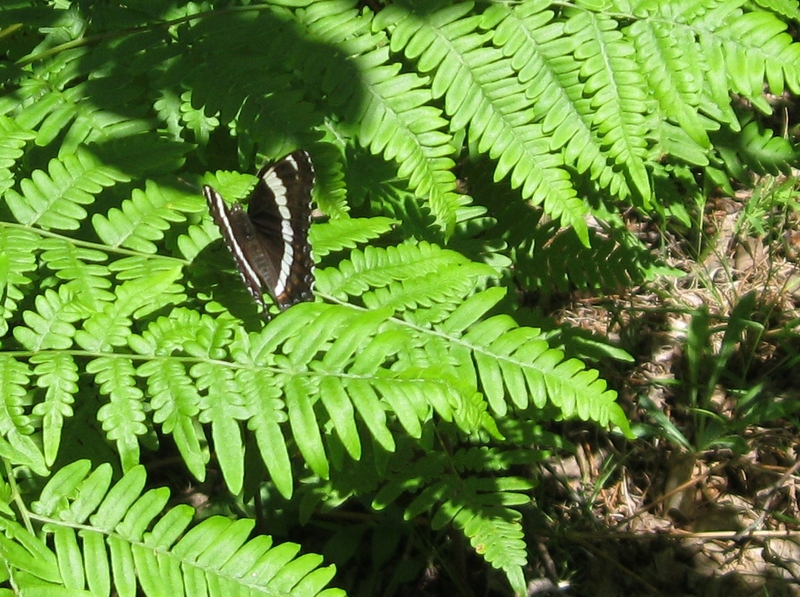 However, in the northern areas of its range where no Pipevine Swallowtails are present, it shows the very different white-striped pattern.